Measuring Form – General. Enter your evaluation scores and genetic measurements here. 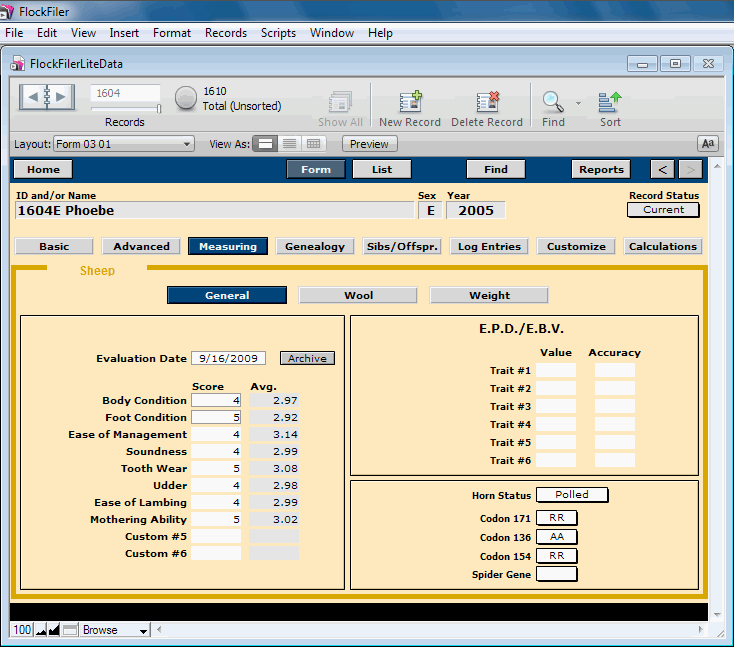 Two custom numeric fields are provided for you to label and record information that doesn't have a home elsewhere. Similarly six slots are available to record the EPDs or EBVs that you have obtained for your flock.